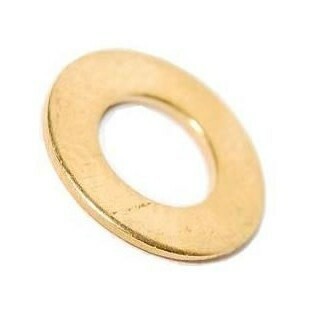 Form B flat brass washer self colour. The form B washer is thinner than a form A but has the same size outside diameter. 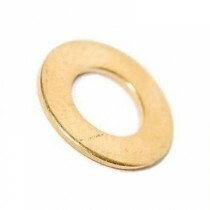 A form B washer is also thinner than a form C washer and has a smaller outside diameter.